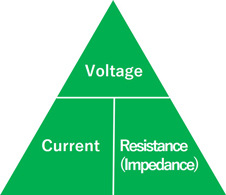 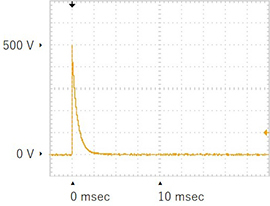 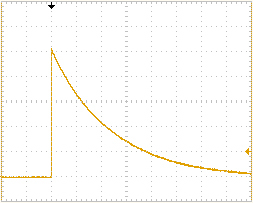 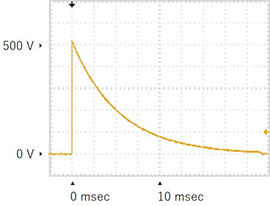 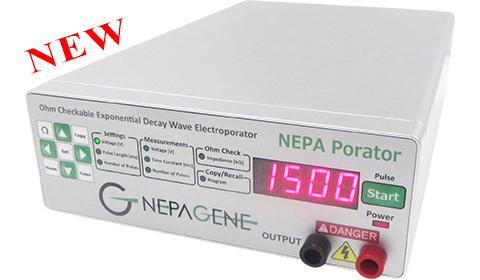 Electroporation is generated by delivering an electric pulse(s), and the delivery of the electric pulse(s) at the same voltage and the same current with the same resistance under the ohm’s law is essential for achieving highly reproducible results. 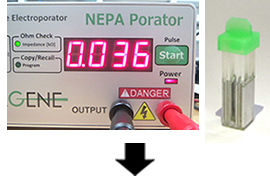 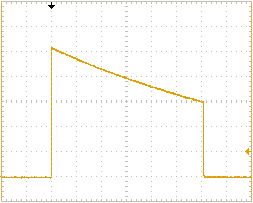 The NEPA Porator can measure the electric impedance (that is almost equal to resistance) of the sample between the electrodes. 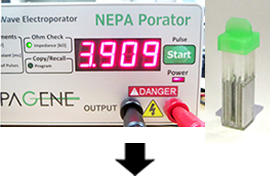 Checking the impedance prior to electroporation is greatly helpful for avoiding inconstant electroporation, reviewing electroporation results and performing expected electroporation that will bring desired transformation results.